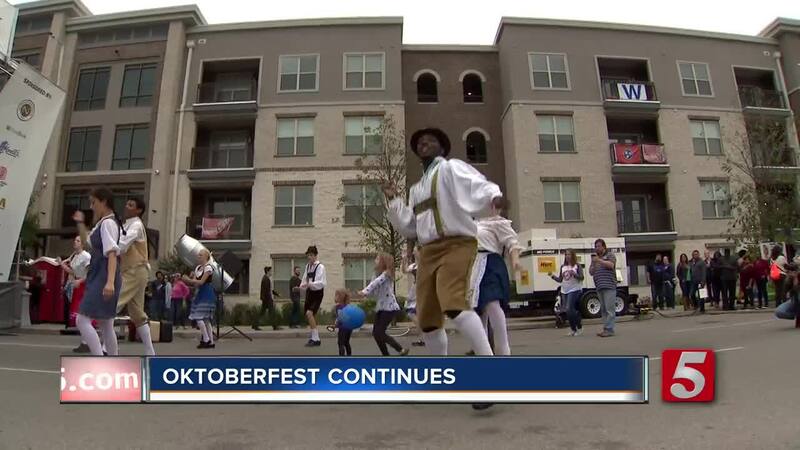 You can sample the tastes of Germany without leaving Nashville as the city’s Oktoberfest kicks off in Germantown this weekend. Some 300,000 people attended last year’s event and organizers said they’re shooting for half a million this year. They said come with a good attitude, and you'll have a great time. “The weather is going to be beautiful. There's a lot of crowds [that are] going to be walking around, lots of food, lots to drink, parking could be a bit of an issue, but it is Nashville,” said Ginger Newman. Venders are prepared and planning to have enough brats, beer and sauerkraut to keep crowds entertained. Last year, festival goers consumed 8,000 pounds of German potato salad, 11,200 Bratwursts – in the VIP area alone – and 3,600 pounds of sauerkraut. Add to that 700 kegs of German beer and almost 1,000 bottles of German wine. All state lots are available for free parking after 5 p.m. Friday and all-day Saturday and Sunday. Several road closures will also be in effect. 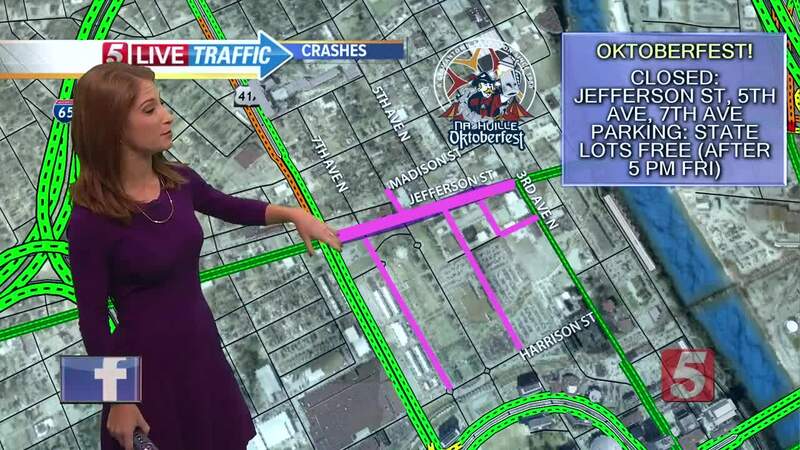 Jefferson Street will be shut down from 3rd Avenue North to Rosa L. Parks Boulevard. Portions of 5th and 7th avenues will also be blocked near the Farmer’s Market and Bicentennial Capitol Mall State Park. Allow plenty of time if you’re heading downtown. Nashville SC has a match on Saturday and the Tennessee Titans play on Sunday. Festivities get underway each day at 10 a.m. Click here for more information.